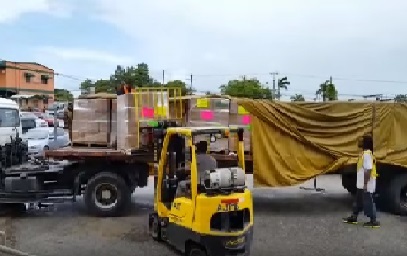 Venezuela this morning began receiving the first batch of much needed food items from Trinidad and Tobago. 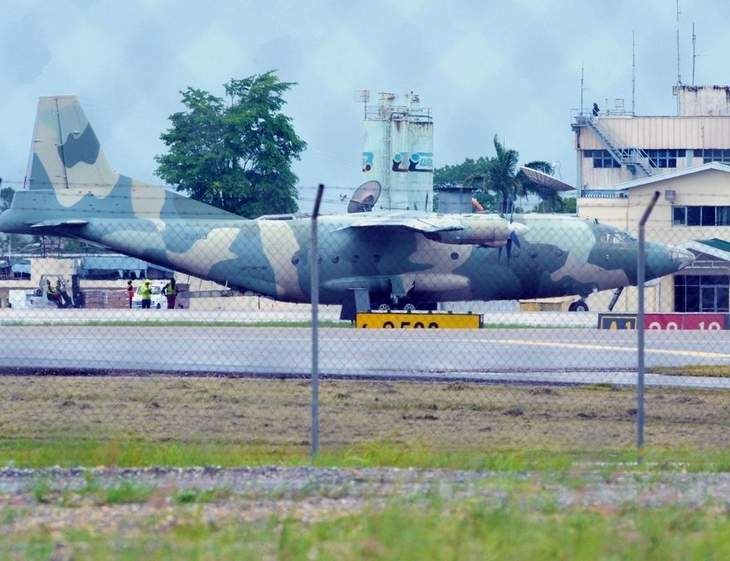 Early this morning, two cargo planes from Venezuela’s military arrived at the Piarco International Airport and began airlifting tonnes of items including chicken tomato ketchup, spaghetti, milk and mayonnaise to the Latin American country, which is currently facing a food shortage. VEMCO Limited director, national brands, Christopher Alcazar told the Express that US$100, 000 worth of Swiss Tomato Ketchup, Swiss Spaghetti, Kerrigold Powdered Milk and Swiss Mayonnaise were delivered to Venezuela. Arawak Company Limited’s managing director Robin Phillips confirmed that a similar amount in chicken was also sent across. Cargo employees load boxes of foodstuff onto a truck at the Piarco International Airport on Thursday. The items are bound for Venezuela following a meeting with Venezuelan officials and the Ministry of Trade on Tuesday. Some of the food items include flour, pasta, milk and ketchup. The businessmen noted that according to the terms and conditions of the arrangement with the Venezuelans, payment for the goods were made upfront. “In regards to whether we received payment, as of noon today yes we have received the payment for the first part of goods that are being air freighted,” Alcazar said.